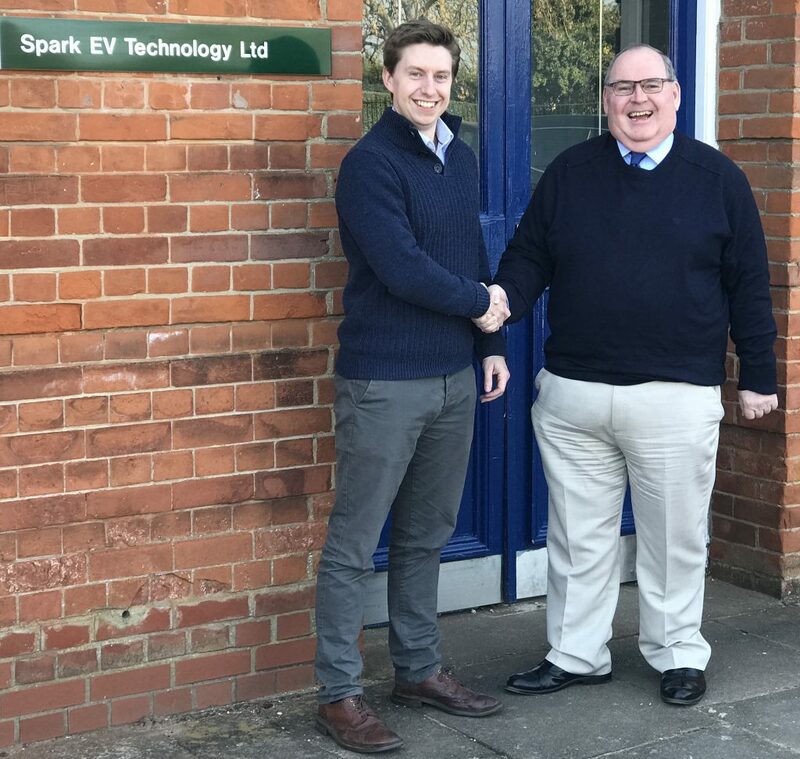 Newmarket, 9 April 2019, Spark EV Technology today announced that it has chosen David Blair as its Chief Financial Officer (CFO). Already an established part of the Spark advisory team, David will help the company scale-up, expanding uptake of its proven AI-based electric vehicle (EV) journey prediction software, moving into international markets including Asia and raising a new investment round. A Chartered Accountant with over 30 years’ experience in business and finance, David specialises in helping technology businesses grow. He has assisted around 50 firms in raising and deploying over £250m during the last 15 years. This includes working as a CEO and CFO of Cambridge Cognition plc, helping them list on AIM in 2013, raising £6.4 million. Spark’s AI-based personalised journey prediction software aims to drive greater EV adoption by removing range and time anxiety whilst increasing vehicle trust. By delivering more personalised journey predictions, based on actual driving style and live data, Spark’s proprietary technology increases driver trust that they will be able to get to their destination without needing to recharge. In real-world trials, Spark has been proved to be 10x more accurate than existing, in-car systems. As Spark’s AI algorithms learn with every journey, it continually improves the accuracy of personalised journey predictions, adapting to every driver. During 2018, Spark beat global competition to join leading startup incubators and accelerators. It was one of only four companies globally selected for the BP/RocketSpace Mobility Tech Innovation Collaborative programme, was chosen for the Wayra/Transport Systems Catapult Intelligent Mobility Accelerator, which aims to create UK champions for emerging mobility markets and won a place on the Creative Destruction Lab (CDL) programme in Toronto, Canada. Spark was also shortlisted for the Mayor of London’s Civic Innovation Challenge working with National Grid and Shell, and ran multiple paid Proof of Concept trials with tier 1 automotive companies. David joins a management team that already boasts experienced experts with backgrounds in artificial intelligence, engineering, green technology, the automotive industry and technology commercialisation. It includes Greg Matthews (CTO) and Mark Shields, founder of CR360 (non-executive director). David read chemistry at Oxford and holds an MBA from Manchester Business School. A member of the Corporate Finance and Finance and Management Faculties within the Institute of Chartered Accountants, he is also past President of the East Anglia District Society and a member of Council, the Institute’s Governing body. SME Leaders Programme applications open now! Going remote: Can flexible and remote working help employers to overcome tech skills shortages?